A celebrated Brandon University alumnus will return to campus for a philanthropic book launch event as part of a national tour. 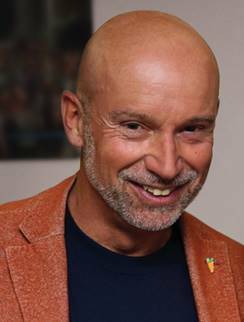 Andreas Souvaliotis is one of Canada’s most unusual, successful and socially conscious businesspeople. He graduated from Brandon University in 1984 with a Bachelor of Science. He says his return to Brandon is a special one. The book launch event will take place in the Gathering Space area of BU’s John E. Robbins Library on Friday, April 5 beginning at 7 p.m. Along with a presentation and Q-and-A with Andreas, there will be a wine-and-cheese reception and a book sale. All proceeds from the sale of this book will go 6 Degrees, a global forum on inclusion and citizenship. Born in Greece, Andreas was raised at a time when being on the autism spectrum wasn’t easily diagnosed or even discussed. Minds like his were simply considered odd. He also knew from an early age he was gay, and it terrified him, as he was growing up with openly homophobic parents in one of Europe’s least tolerant societies. Andreas’ differences made him an outsider, right through to his mid-forties. And then suddenly, everything changed. 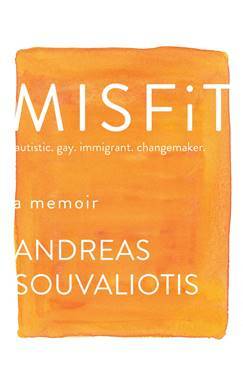 Misfit is the extraordinary memoir of a man who realized there was strength in his strangeness, that it could be used as a force for good. The weird kid from Greece was on his way to making his world, and everyone’s world, a better place. Andreas Souvaliotis’ inspiring story shows us that everyone has what it takes to trigger positive change, and that none of us should see our differences and quirks as handicaps. Andreas Souvaliotis is the founder of Carrot Rewards, Canada’s most popular wellness app and the world’s first national health rewards program. A decade earlier he started Green Rewards, the world’s first mass eco-loyalty platform, which was acquired and fused into the popular AIR MILES program. Andreas has been recognized globally for his achievements and thought leadership in harnessing nudge theory to promote positive behaviour shifts on a mass scale. As a bestselling author and prolific speaker, Andreas is a leading Canadian advocate for innovative approaches to address public health, climate change, diversity and citizenship. He serves on the Boards of the Institute for Canadian Citizenship, Windmill Microlending and the Young Presidents’ Organization, and also advises a number of academic institutions and NGOs.